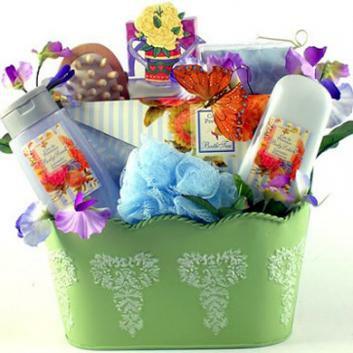 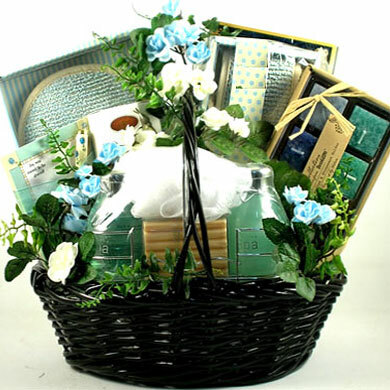 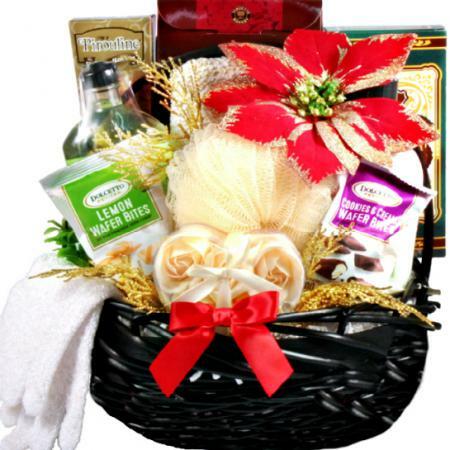 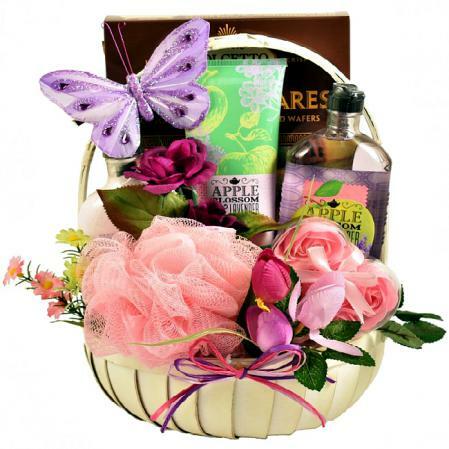 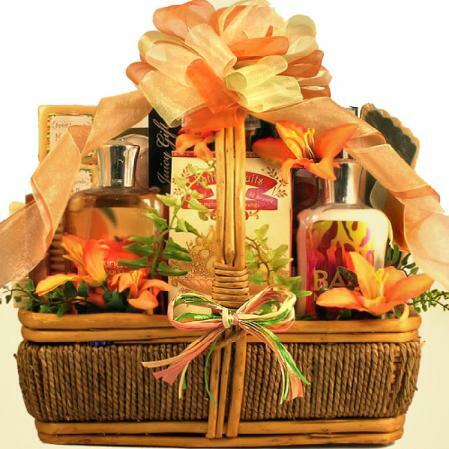 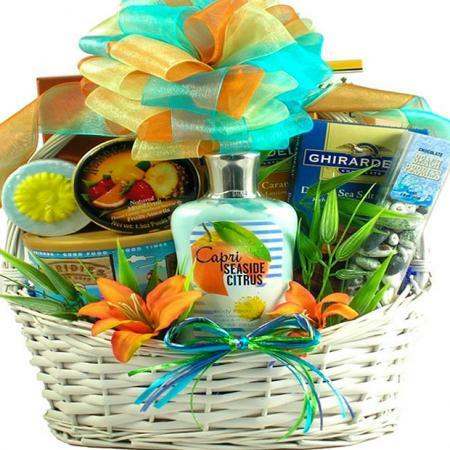 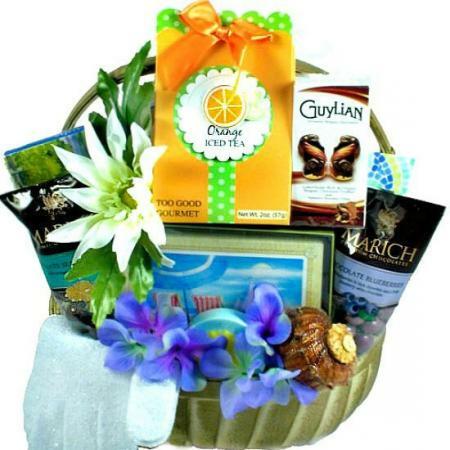 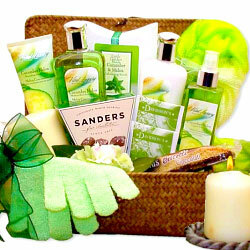 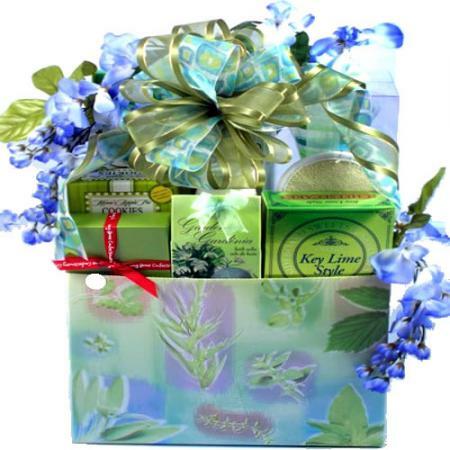 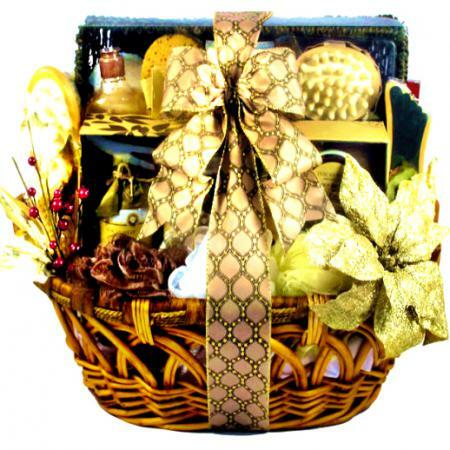 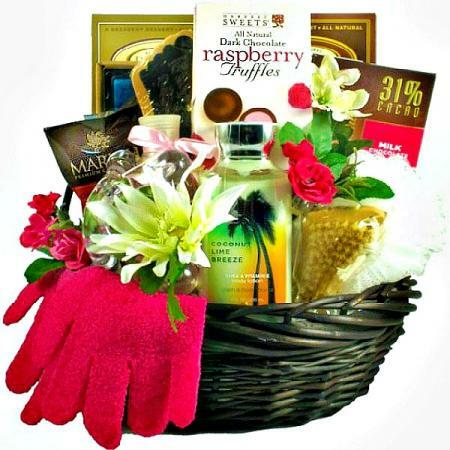 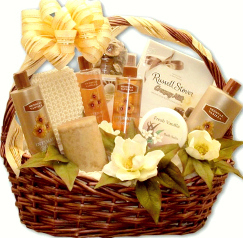 Spoil her with this one-of-a-kind spa gift basket with a separate layer of goodies dedicated to indulging her taste buds as she relaxes. 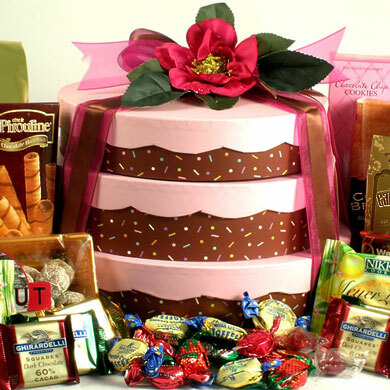 This collection of scrumptious sweets and indulgent spa items is a perfect gift for celebrating any occasion. 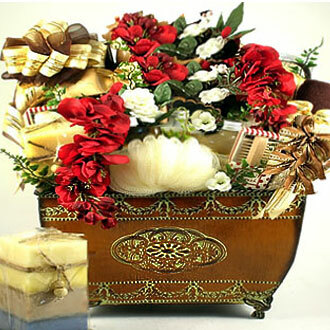 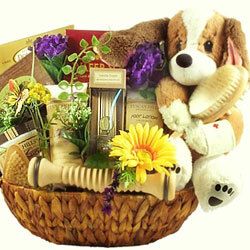 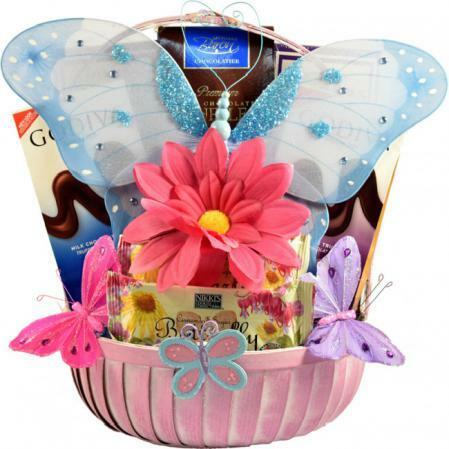 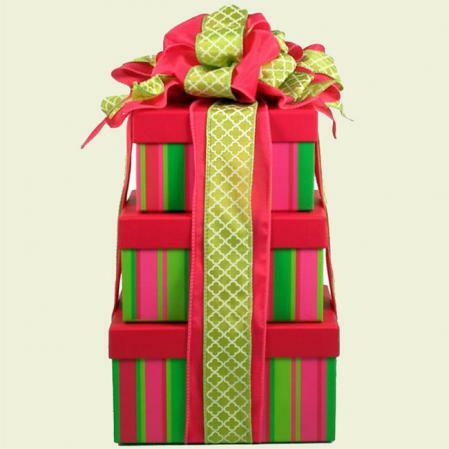 It is a wonderful collection of gifts and goodies all set in a cheerful designer 3-tier tower of designer gift boxes. 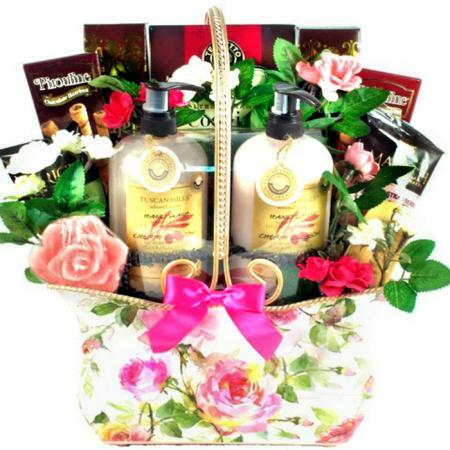 As she opens each layer she will discover wonderful treasures such as Cheery Blossom Lotions and Gels plus Chocolate Covered Cherries and Fudge. 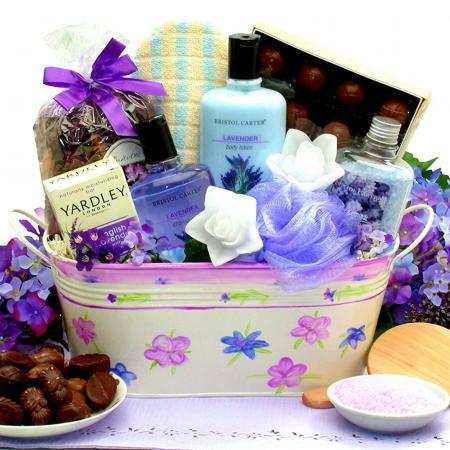 My daughter in law loved it, I wished the delivery had been a bit faster, from the website I thought it would be and so left ordering when I would have otherwise ordered sooner, so missed her birthday well and truly. 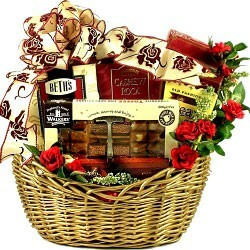 But she said she loved it, very handy for us in Australia to be able to provide a gift without the horrendous postage. 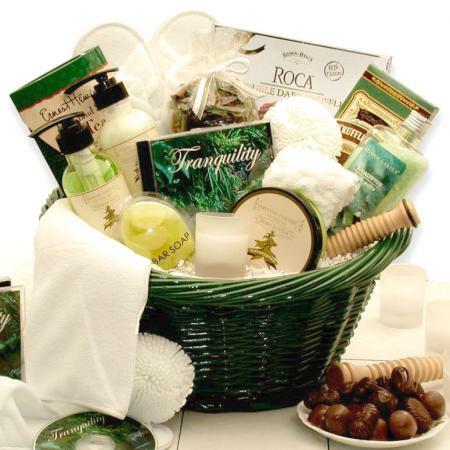 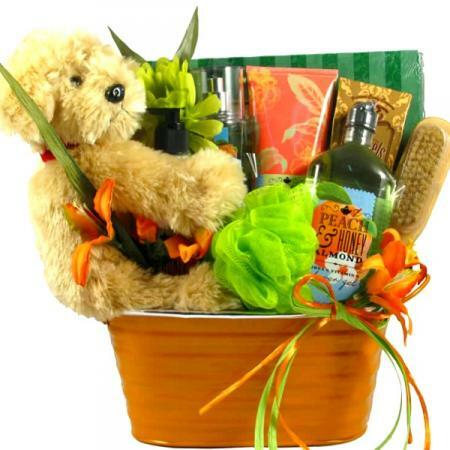 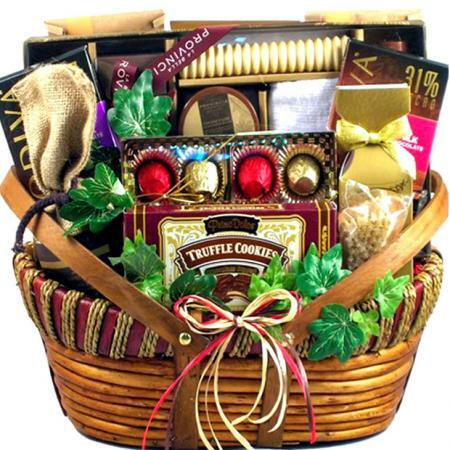 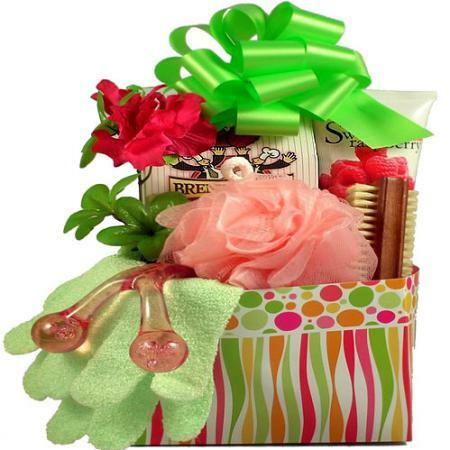 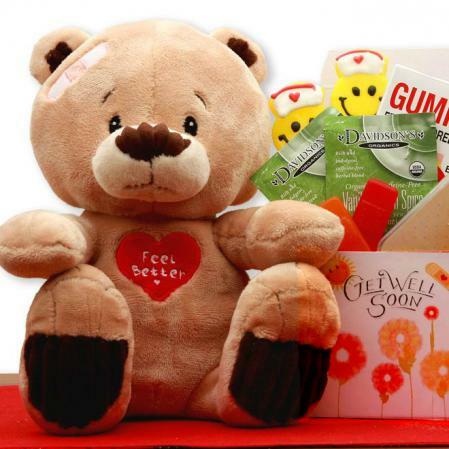 Great gift basket my future daughter in law loved it.